This was taken by my son Jay-Jay M. Danila, use Canon t6i, 50mm (f1.4) lens at the North Charleston Wannamaker County Park. 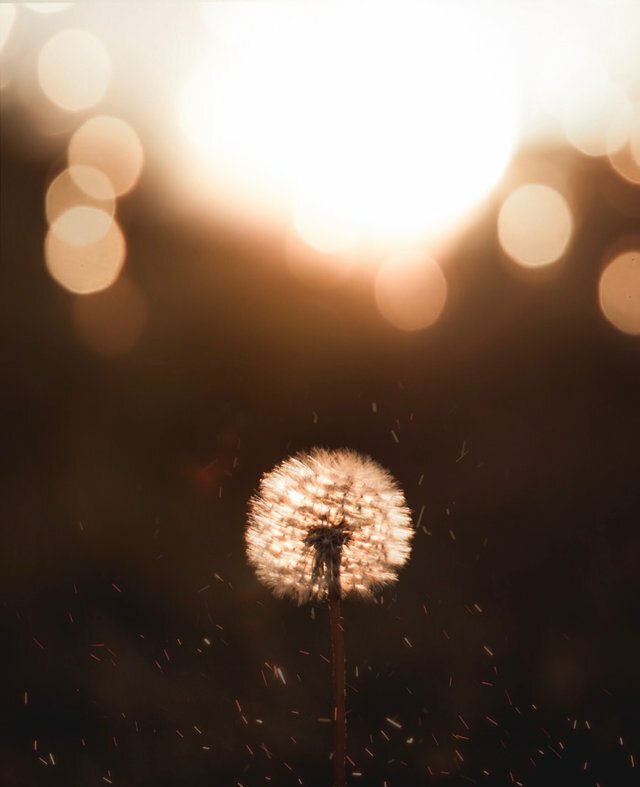 If you focus on all that God has made, you will notice that all of this has been good and useful like this wildflower commonly known as dandelion. According to Ansley Hill of Healthline, written on July 18, 2018, Dandelion leaves, flowers and its stems can be eaten cooked or raw. The root is usually dried, ground and consumed as a tea. Yes, though Dandelion as you feel sometimes as a stubborn weed that never seems to leave your lawn or garden,but it has 13 potential health benefits; Highly Nutritious, Contain Potent Antioxidants, May Help Fight Inflammation, May Aid Blood Sugar Control, May Reduce Cholesterol, May Lower Blood Pressure, May Promote a Healthy Liver, May Aid Weight Loss, May Fight Cancer, May Support Healthy Digestion and Treat Constipation, May Boost Your Immune System, May Be a Useful Skincare Treatment, May Support Healthy Bones.